Brandon is a Junior and his ride is a 77 Chevy truck. 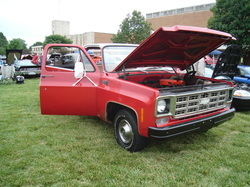 He and his dad restored and repainted this truck themselves and is quite a head turner! Derek is a sophomore and enjoys buying and selling cars. 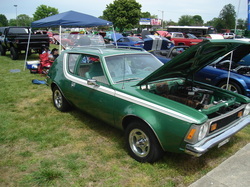 He showed his Gremlin at the car show and has since sold it and bought a 1982 Camaro Pace Car. Zach is a Senior and 4 year CARR Club member. 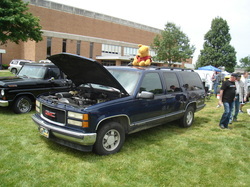 Zach is proud of his Suburban and enjoys driving it all over town! CARR Club Members: SUBMIT YOUR RIDES!!!!! !